What Can Your District Office Do For You? 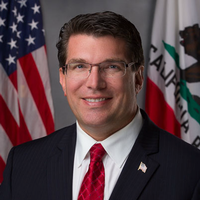 •	Your State Government Advocate: If you ever have a problem with a state agency, the District Office of Assemblyman Jay Obernolte will advocate on your behalf and is there to represent you. The District Office can assist you with state agencies such as: Department of Motor Vehicles (DMV), Department of Employment Development (EDD), Department of Health Care Services (DHCS) and the Franchise Tax Board (FTB). •	Learn About State Programs: The District Office is your source of information about state programs. Programs such as: Department of Resources, Recycling & Recovery (CALRECYCLE), Department of Development Services (DDS) and, Department of Consumer Affairs (DCA). •	Certificate Requests: If you know a group or person who deserves to be recognized for their accomplishments or service to the community, the District Office can provide a certificate of recognition to thank them. •	Bill Information: Contact the District Office to get updates on bills working their way throughout the Legislature. Comments about these proposals and suggestions for new laws are always appreciated.